Here you will find our Scale Model Train Trees for sale plus some information about trees. Railway modellers usually want a method of planting model trees into their layout scenery; those listed on the sister area (ceynix.co.uk) are not generally thus suited. It has come to my attention that a website has been started with a very similar name to one of the aliases of this one (railwaytrees.co.uk) and that the wording is that found on one of my leaflets. 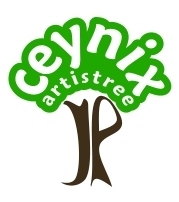 Please don't be fooled it has nothing to do with Ceynix. We are London based. We are happy to make bespoke trees, but often have a waiting list for commissions. The length of this obviously varies. Regrettably I currently have a broken hand, so nothing is being made at present. UPDATE: Bones mended, but soft tissues still an issue. We cater for all scales from T scale trees, through Z gauge trees, N trees (2mm scale trees), HO trees (3.5mm scale) OO trees (4mm scale trees), O trees (7mm scale), various G scales including Gauge 3, and larger if required plus all sizes between. Please be aware that this site is photo intensive and therefore may take a little longer to download pages than you might expect. Sometimes a 'refresh' works. These trees are not Made in China. They are handmade in the UK by a UK modeller, therefore each one is different although some may be similar.